Wayne Nickerson pulled up this blue lobster while fishing off Plymouth on Monday. 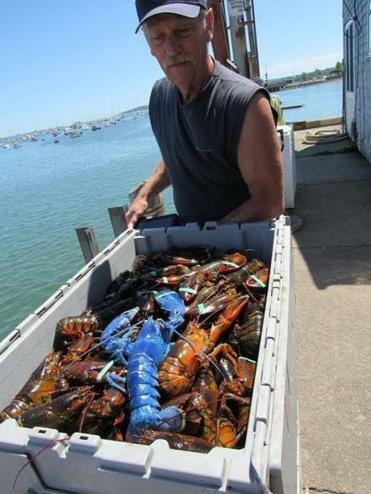 When Wayne Nickerson, a 35-year lobsterman, pulled a trap from the water off Plymouth Monday morning, there was a glaring outlier among the greenish-brown batch. It was a rare catch. Tony LaCasse, spokesman for the New England Aquarium, said some estimates have placed the odds of a blue lobster at 1 in 2 million, though those numbers may need updating. Bleu the blue lobster and Wayne Nickerson. This one, aptly named Bleu, was even more rare because it weighed two pounds, LaCasse said. It’s surprising the lobster reached that size — the average lobster at a restaurant is 1 to 1.25 pounds — considering its vibrant color impairs its ability to camouflage itself from predators, he said. 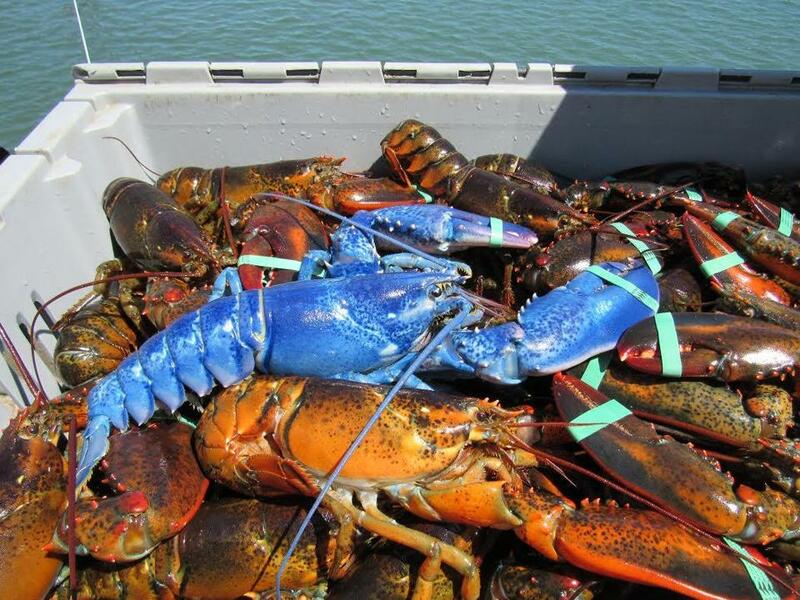 This wasn’t the Nickersons’ first blue lobster. In 1990, Wayne caught one that was displayed in a tank at a Manomet lobster pound, Jan said. LaCasse said there have been a number of local sightings reported recently. And a couple of factors contribute to that increase, LaCasse said. One is social media, which makes sightings more widely reported and acknowledged. Another is basic math: Nearly 100 million lobsters land in the United States every year. By those odds, there’s bound to be around 50 found, if the 1 in 2 million odds are correct. The blue lobster finds off Massachusetts in recent years also could be explained simply by one blue female, LaCasse said. Nickerson said Bleu was an instant attraction. 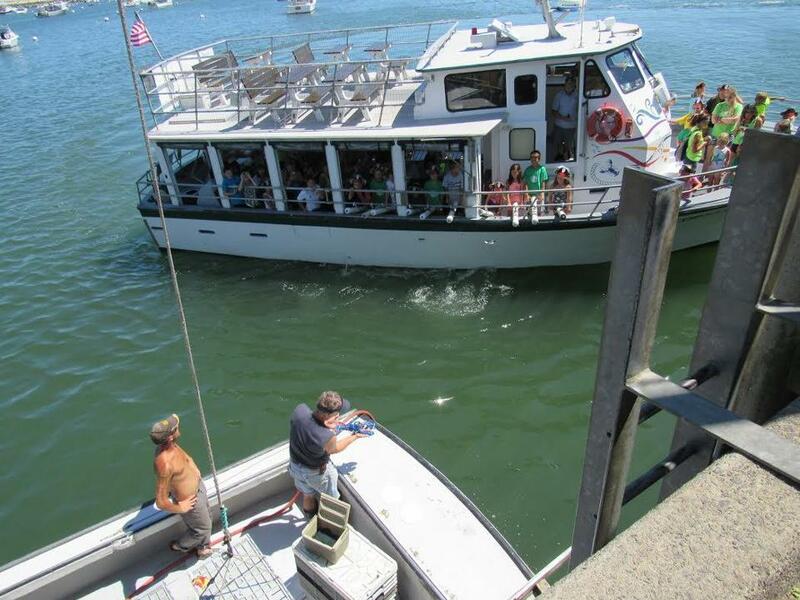 When Nickerson’s boat returned to the pier, he called over his friend who runs a children’s tour boat called Lobster Tales. The lobster was taken to a safe and secure location, Nickerson said. Bleu was separated from other lobsters, who Nickerson says are often aggressive. Wayne Nickerson showed off Bleu to a children’s tour boat called Lobster Tales. “The children cheered like crazy. That was the best part for me. It was so cute,” said Jan Nickerson. Dylan McGuinness can be reached at dylan.mcguinness@globe.com.